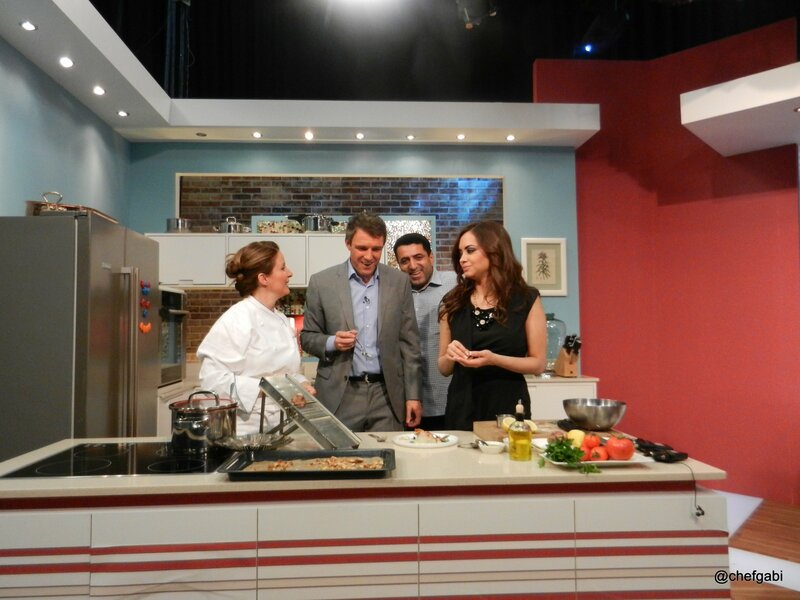 I was invited again to Studio One with Ash and Tom for the culinary support of their Valentines….week. Thinking what to present I came across one of my long time favorites, an hors d’oeuvre, perfect to start a romantic dinner. Simple, quickly done, with impressive aroma. Because who wants to spend the time in the kitchen on Valentines day? All you need is a slowly reduced tomato relish, a little bit of tapenade (olives and capers paste), and one hard boiled egg chopped and mixed with yoghurt and mustard. For the grissini look here. Watch the sequence here. Here is the dish and recipe I have cooked on Dubai One. 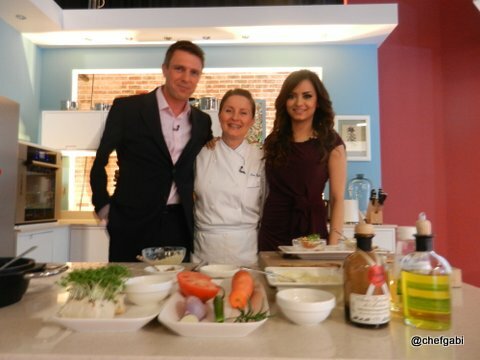 It was fun to be with Ash and Tom on the show as always! Wash the sun chokes and slice 2 of them very thin. Place the slices on a pergament paper on a baking tray and dry for around 15 minutes at 150 degrees Celsius in the oven. Peel the remaining sun chokes and the potato, steam them until very soft. Crush them and season the puree with salt and pepper. Dice the tomatoes (preferably with the skin due to the fact that the flavonoids are fully available). Chop the Parsley. Mix tomatoes with parsley, lemon juice and grated skin, season with some olive oil, salt and pepper. 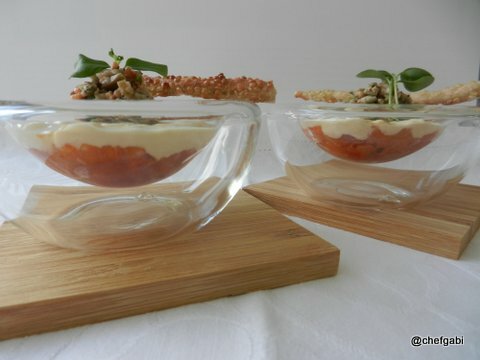 Arrange the soft puree in deep plates or small bowls. 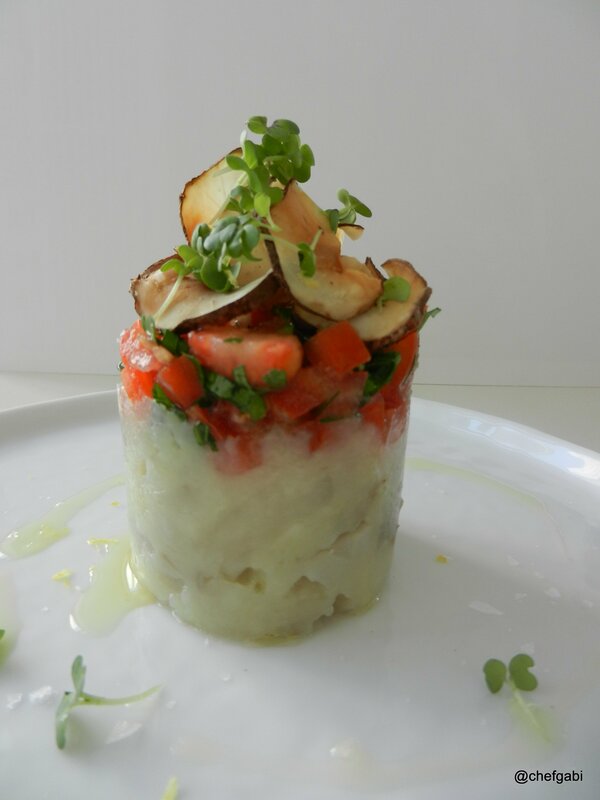 Top with the tomato parsley salad and crispy sun choke chips. Serve warm, not hot. 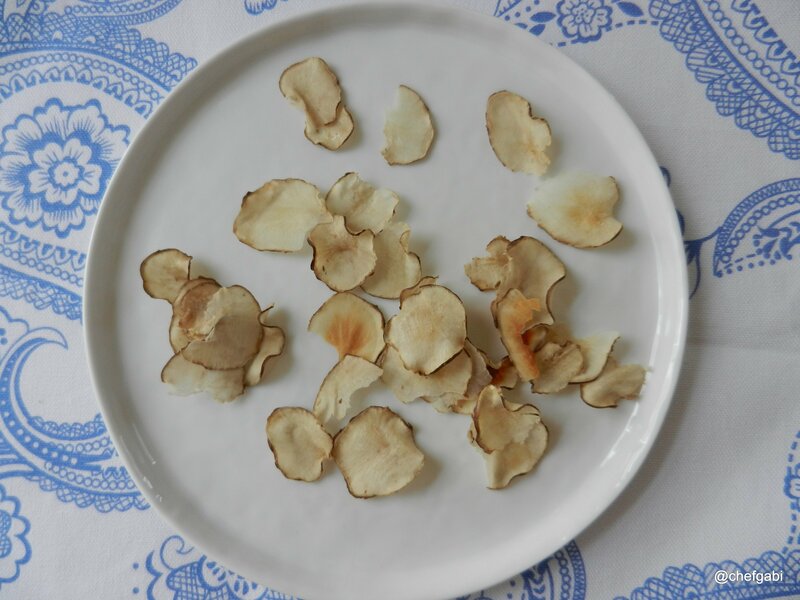 The sun choke is one of the finest source dietary fibers, especially high in oligofructose inulin, which is a soluble dietary fiber. Inulin should not be confused for insulin, which is hormone. The root flesh provides 1.6 mg or 4% of fiber. Inulin is a zero calorie, sweet inert carbohydrate and does not metabolize in the human body, which make the root an ideal sweet snack for diabetics and dieters. They are very good source of minerals and electrolytes especially potassium, iron, and copper. 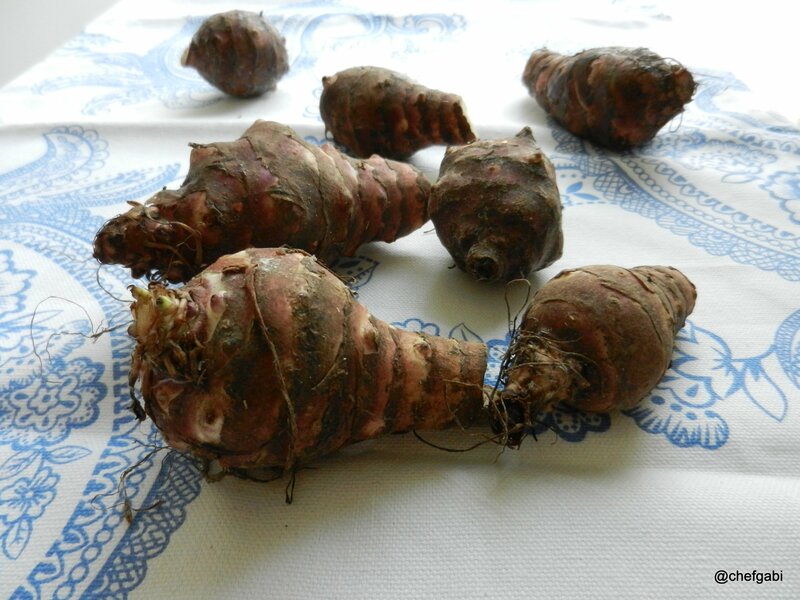 100 g of fresh root contains 429 mg or 9% of daily-required levels of potassium. Potassium is a heart friendly electrolyte; helps reduce blood pressure and heart rates by countering effects of sodium. 100 g of fresh sun choke contains 3.4 mg or 42.5% of iron, probably the highest quantity among edible roots and tubers.